This piece was inspired by a very early full moon morning in the high mountains. 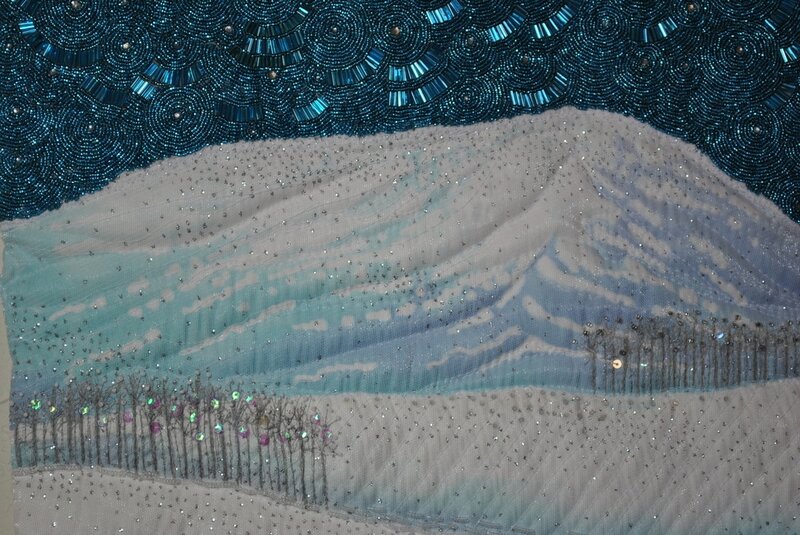 The snow was lit with a blue light, and the sky shimmered with the cold mountain air. It is constructed of whole cloth hand painted silk. It is embellished with chiffon, lame, and tulle. 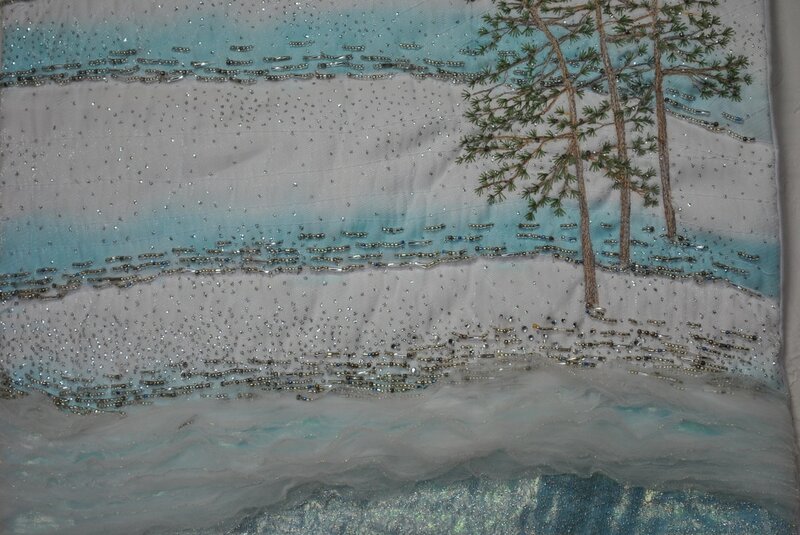 The piece is hand and machine embroidered. It is hand beaded.